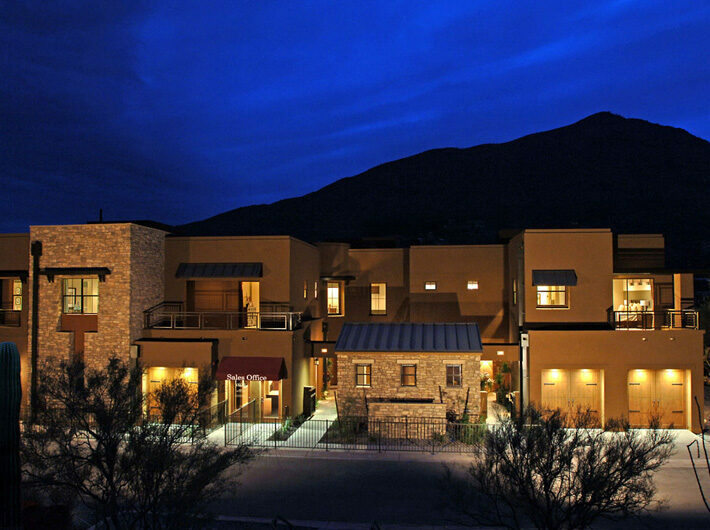 Gold Nugget award winning luxury townhome community situated on 7-acre hillside site. Originally occupied by an old small apartment building and littered with debris. Visiquest rezoned and platted the property where others had previously failed, vowing to provide art and architecture consistent with the western themes and values of the community. 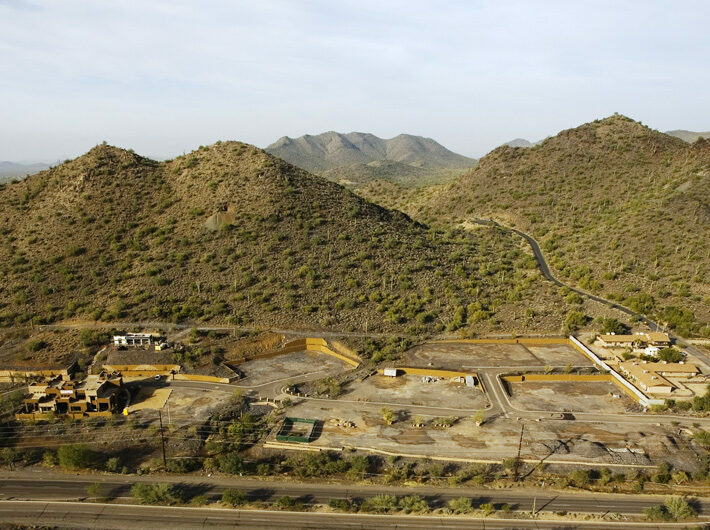 Visiquest obtained an Army Corps of Engineers 404 permit, salvaged the native plant materials, carefully graded the site, reconstructed a wash, built 2 large box culverts, installed all onsite utilities, paving and nearly 2,000’ of retaining wall. 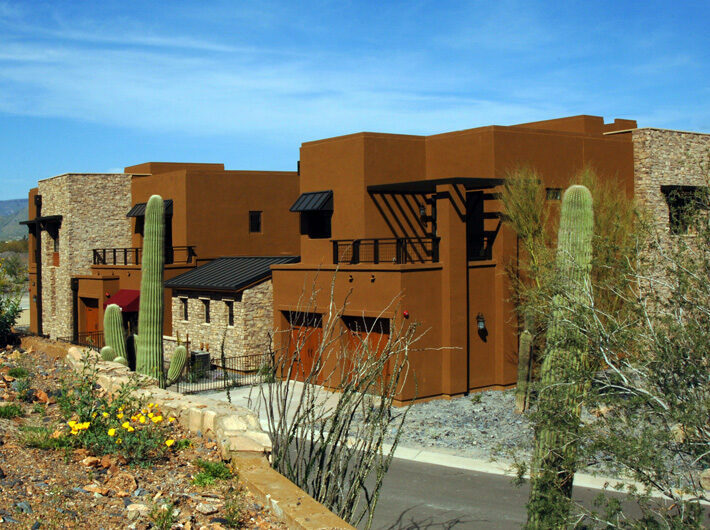 Three of the 4 floorplans were built as models together with pool/spa/ramada/firepit perched on a knoll with 360 degree views including Black Mountain and the Surrey Hills. 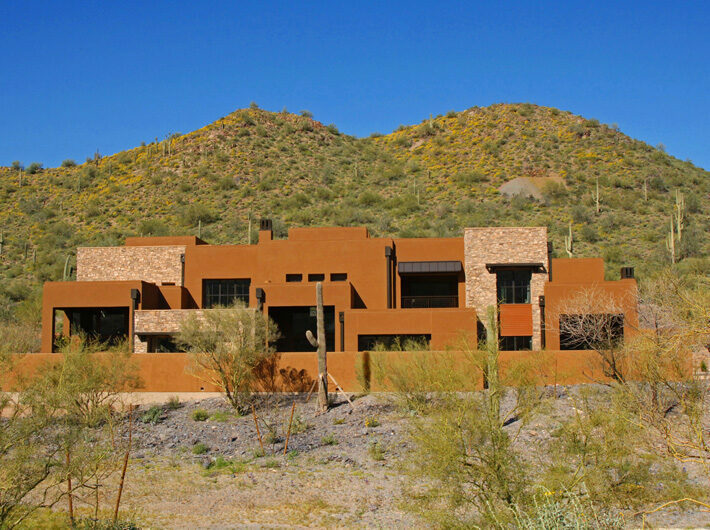 9375 E. Shea Blvd., Suite 100 Scottsdale, AZ 85260.